I recently got myself a Canon XL H1 and named her Sonyia. I have been working with a Canon GL2, named Celes, for years now, and I was curious as to what benefit HDV really gave me. Considering the super high compression rate (I've read it's 60:1) I really was concerned that my beautiful new baby wouldn't hold up to testing. I had seen one review with comparison shots to the Canon XL2, but most of them were shots of diagrams and technical color screens and stuff that I didn't understand. That being the case, I took some shots myself. I used the same Sony MiniDV tape for all these shots. I took them one right after the other, so the maximum time difference is about 5 minutes between takes. I pulled all the footage into my editing machine in the proper aspect ratio and settings. Then I took a screen capture of the pictures from the viewer of my editing software. I pulled these images directly into Photoshop. 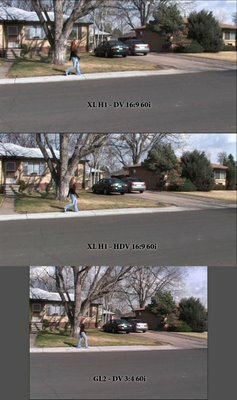 The final image is smaller than the original HDV footage (1080x1440), and larger than the DV footage (720x480). This makes the difference between the images less dramatic (Blogger keeps turning the larger images into a garbled mess of text. I don't know why, but it does ruin the use of these pictures). I'm sorry that I forgot to change the aspect ratio of my GL2, but I figure it's okay because all the footage is in the cameras' native shooting style. 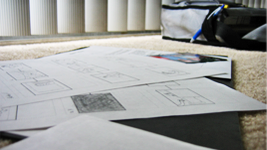 I used the cameras' "Green Box" default/completely automated picture setting while shooting. The first image is a slow pan as the girl walks along the sidewalk. Notice the "bleed" in the DV footage from the XL H1, the detail in the HDV footage, and the color in the GL2 footage. The second image is a handheld following shot as she walks toward the front door. The detail of the HDV footage is remarkable. The GL2 DV footage is surprising far superior to the XL H1's. The GL2 is brighter, but the XL H1 HDV footage is more accurate. 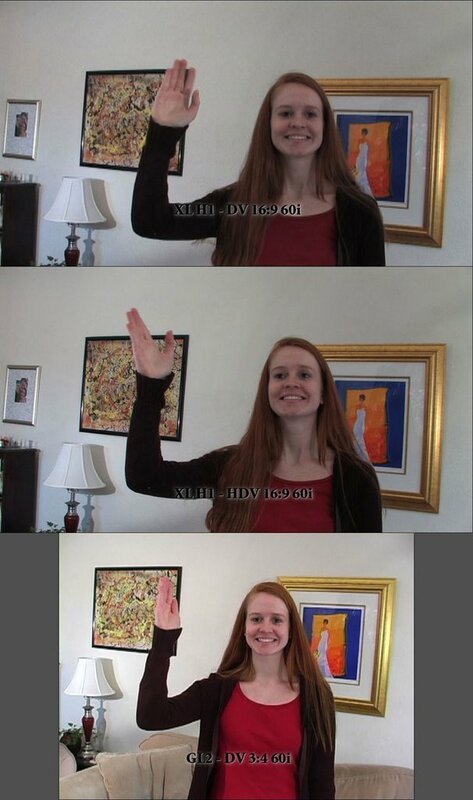 The third image is a "Princess Wave" from a tripod. In conclusion: The XL H1 looks a lot better than the GL2 when shooting HDV. However, the GL2 is still the way to go for DV.